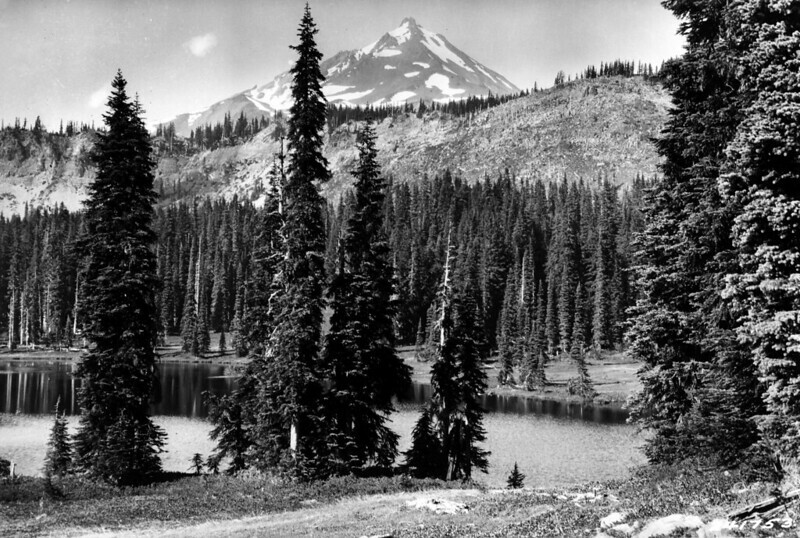 I came across this historic photo from the Willamette National Forest. It is undated and the only information is that it's Mt. Jefferson. Anyone recognize this spot? Maybe Hunts Lake. Can't find my pics so can't be sure. I vote for Hanks Lake. I don't think you can see Jeff from Hunts Lake because it is at the foot of the steep slope in the photo's mid distance. I have camped at Hunts Lake and don't remember seeing Jeff. I did scramble up that steep slope and the bench that lies above it to Goat Peak. It was July 4th weekend in the early 90's (?) and once above the steep slope it was all snow. All of the little lakes on the bench were completely buried. Looks like we have a winner. Guess I had the two lakes confused in my memory.